Two months ago, I was invited to a shoedazzle blogger brunch event that was hosted by the lovely Carolyn of heyprettything. The company had sent me these mules to wear to the brunch event and till this day I still continue to wear them. I've always been looking for a pair of mules so this was the perfect timing! And they're pretty versatile with any outfit. :) This swing tank dress that I got at Old Navy has been super comfy for Summer and paired well with my recent jewels from Rocksbox. You can still use the code 'sheislovelyxoxo' for your first month of Rocksbox membership for FREE! And if you would like to see who won my recent MacarOn Cafe giveaway, click here! Cute dress! Love that it is a total comfort piece!! 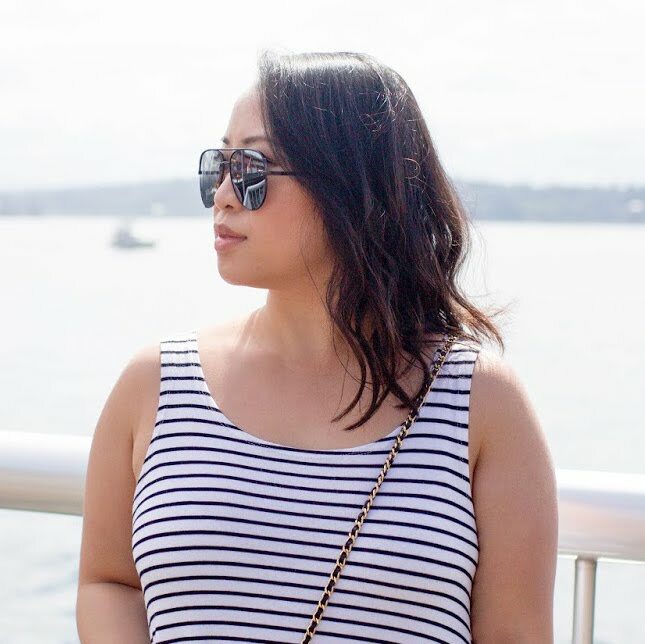 Love this effortless, summer look! Love those shoes! They look so trendy! This looks great for hot, humid temps! I've been wearing little dresses like crazy to escape the heat! I have really underestimated the comfort of these shoes in the past!